Excited to build on your fundraising skills? Are you a go-getter, energetic and want to be a part of a team working for the Aboriginal Community? Then this role is for you!. Building donor numbers and fundraising revenue from various supporter segments including individual giving, community fundraising, sector and business supporters and others. Commitment to VACCA’s vision, principles and purpose. Knowledge of a donor or customer-oriented databases; including creating and enhancing records, processes and procedures. Writing, proof reading and communication skills with superior attention to detail. The Victorian Aboriginal Child Care Agency (VACCA) is the largest organisation of its kind in Australia. 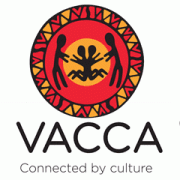 VACCA is an Aboriginal community-controlled organization that supports and advocates for the Aboriginal community. Our strength lies with our people. Our team is committed to the organization's vision and values; advocates for our children and other vulnerable community members; and shows respect for, observance and compliance with Aboriginal cultural protocols, practice and ceremony. Our Aboriginality is what distinguishes us from mainstream services and what enables us to deliver the positive outcomes we achieve for our people. 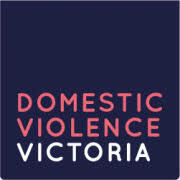 Please quote in application: Fundraising Coordinator via Pro Bono Australia.